Stoned Cobra is a Rock band made up of 4 guys inspired by Stoner Rock, 70's Psychedelic Rock & Metal, and 90's Grunge, and quite simply the Jam. We have set out to make music that we like, combining all of the elements of Rock that we grew up jamming to. Stoned Cobra has a few tricks up their collective sleeve. Give a listen to the three tracks they've made available on ReverbNation and you'll be treated to an ultra-chill Queens of the Stone Age style jam (What Good is a Sword Against Sorcery? ), a bluesy, folk ballad (She Burns) and a straight up balls to the wall rocker (Swamp Witch). These guys will lure you in with their wave of psychedelic guitar work and trippy vocal effects and then bludgeon you with their thunderous riffs and monstrous grooves. 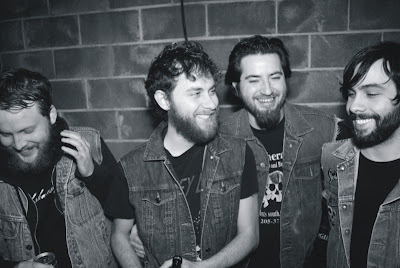 Give a listen to these Birmingham, Alabama boys and see what Southern stoner rock is all about.